Hello everyone! I am up on the Twine It Up! with Trendy Twine today. This week the Trendy Twine design team is pairing up with the Fluerette Bloom design team to bring you some crafting inspiration. Our crafting inspiration goes from Sunday, January 11th through Saturday, January 17th, please join us each day. Today I used Cherry Cupcake Trendy Twine, the Valentine Be Mine Kit along with the Hearts A Flutter Digital Papers from Fluerette Bloom. 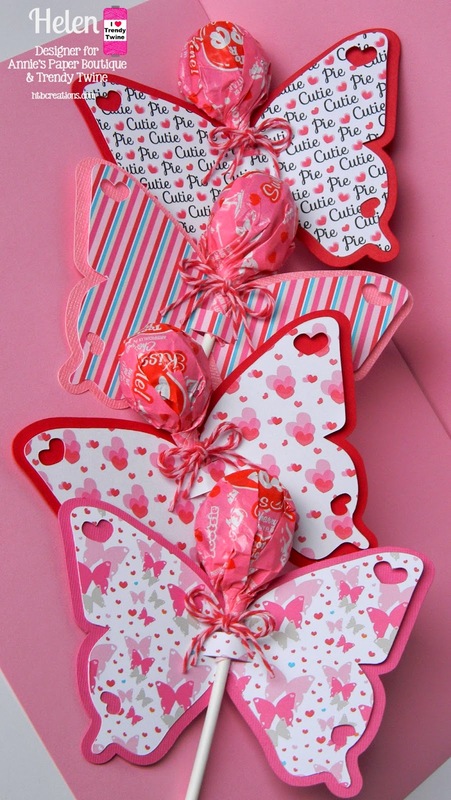 This Valentine kit is so fun--I really want to make everything from this kit. 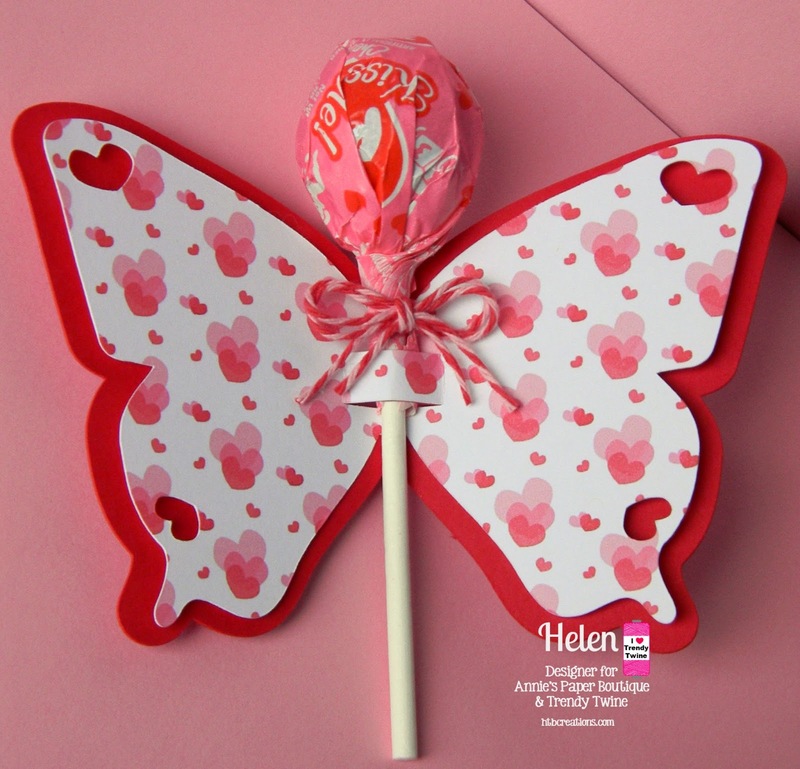 I made 12 of the butterfly lollipop decor using 4 different Hearts A Flutter Digital Papers. These are so quick and easy to make. The files come with a PDF listing the sizes they should be so I set my Explore to cut them at the directed size. 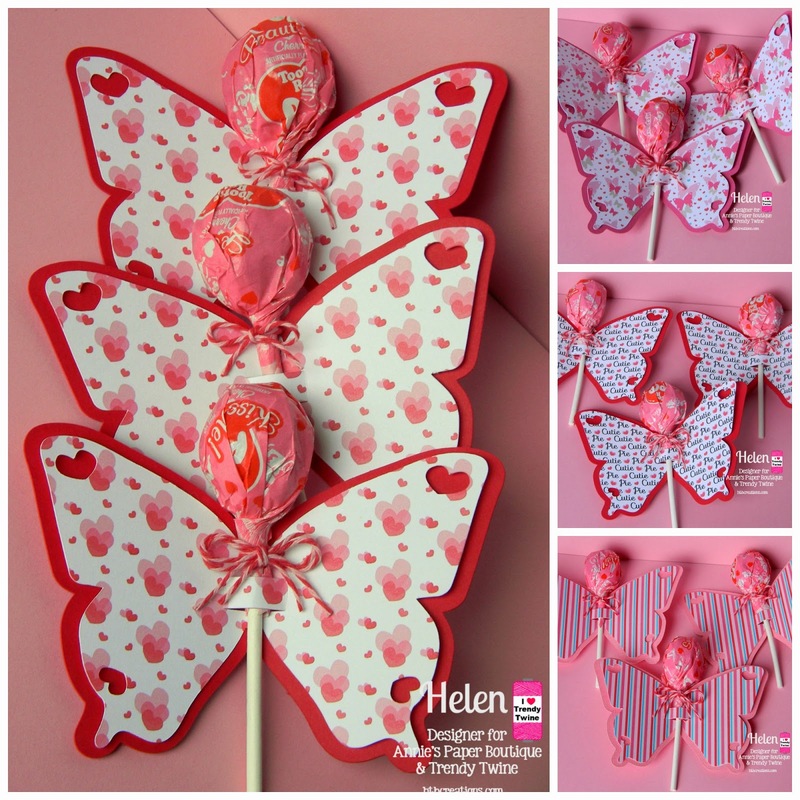 Then I tied my Cherry Cupcake Trendy Twine in a bow around the lollipop before sliding it into the butterfly. The second solid layer is not from the digital kit, but my own stock. There is blog candy up for grabs! One Lucky Winner will win the following! Our crafting inspiration week goes from Sunday, January 11th to Saturday, January 17th. All you need to do is comment on both the Trendy Twine blog and the Fluerette Bloom blog each day to be entered. The deadline to enter is 10:00 pm Central Time, Sunday January 18th. You must also be a blog follower to be eligible to win. One person will win both certificates. Good luck and have fun being inspired all week long! Have a fabulous day and make sure to follow the above instructions to be eligible to win! These are so darling! Totally fun and sweet! Smiles will be had!!!!! These are such sweet treats! I absolutely love them! They are the SWEETEST treats ever!! Adorable project! Very sweet treats and I love the design and pretty papers! Helen, these are just awesome! So fun and pretty! Great job! OMGosh, Helen, I LOVE these. What beautiful treats. That paper is perfect for these cuties and I love that you used four different designs. These really pop. 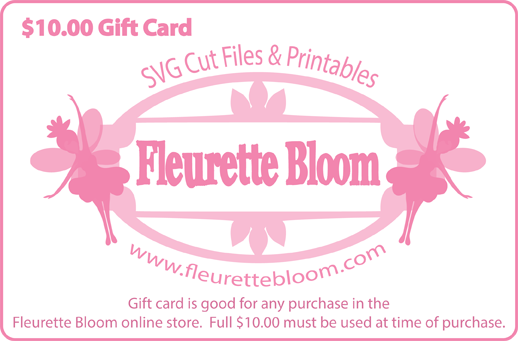 Thanks so much for taking the time to join in this week with Fleurette. These have to be the most perfect treats ever! Love them! These are AMAZING!! 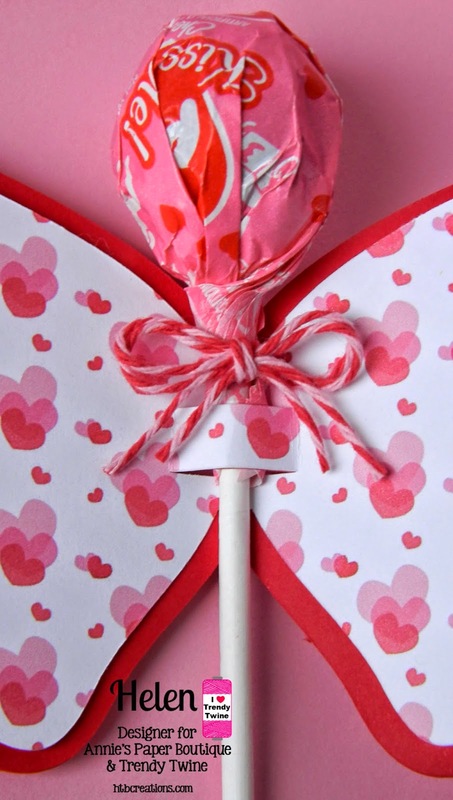 I love the fun papers...such a fun treat idea!